Elephants have long been symbols of strength, power, intelligence, wisdom and excellent memory in many cultures across the globe, and in some, they are even deities: India has Ganesh and Airavata, Thailand has Erawan. 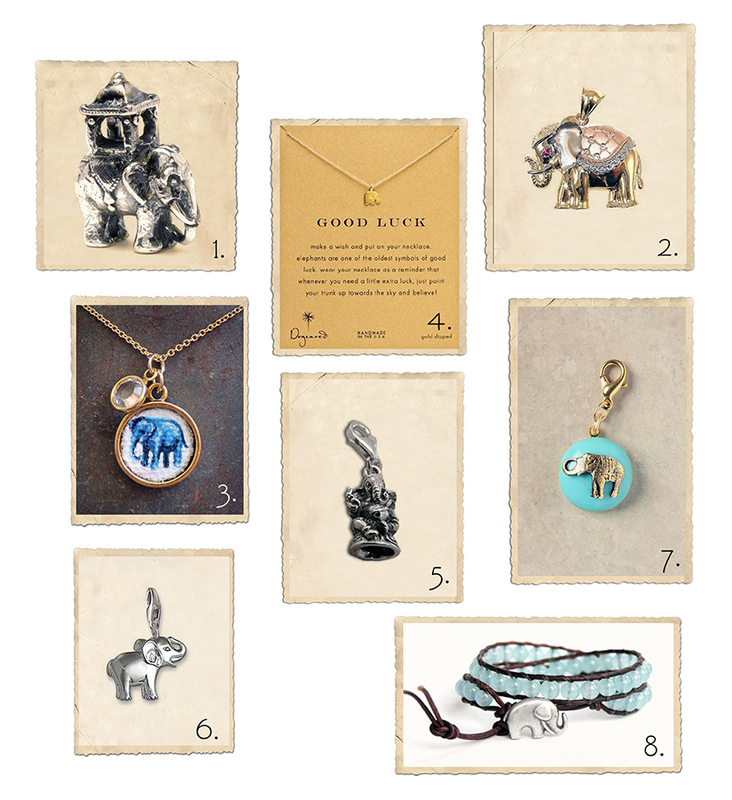 There are also lots of other beliefs and folklore associated with elephants, and many consider them to be good luck. Some say that is true only if the trunk is up; others claim only white elephants can be considered lucky. I personally love elephants on everything and think they are all lucky. I never leave the house without my little Ganesh charm – he is said to bring wisdom and remove obstacles, and who can’t use that on a daily basis? I put him on either a necklace, bracelet or just as is in a pocket.